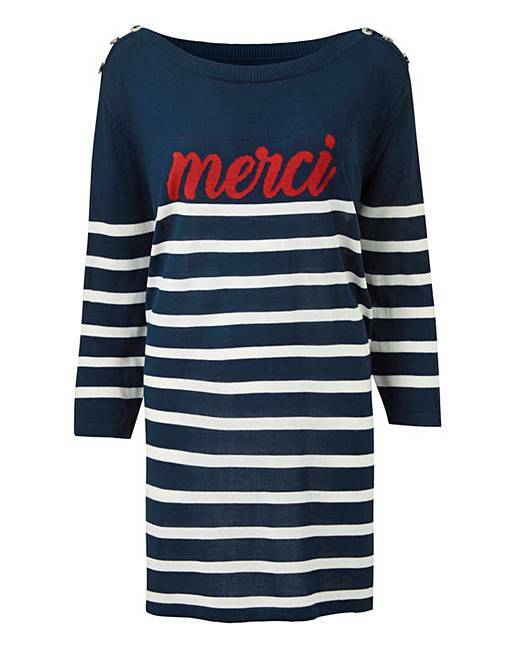 Merci Slogan Tunic is rated 4.5 out of 5 by 2. The perfect tunic to transition your wardrobe into spring. 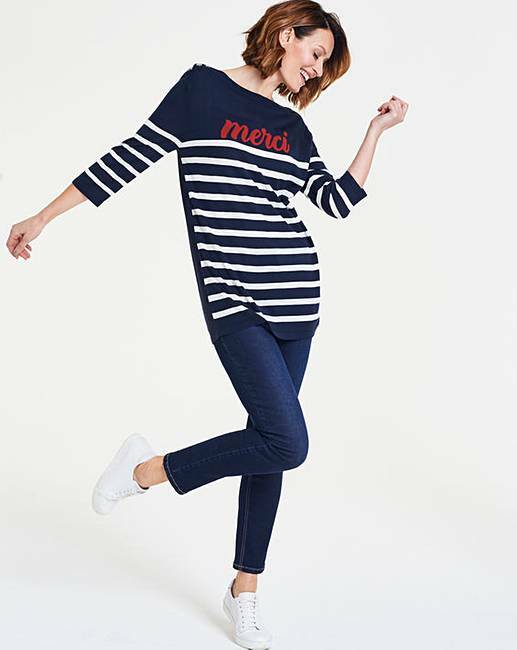 Featuring a Merci slogan to the front, nautical stripes and mock shell buttons to the shoulders. Simply pair with jeans and ankle boots for a great daytime look.